Grab a cup of coffee and let’s talk about my God story . . .
Jayme Hull is a dynamic speaker and passionate mentor who motivates audiences to invest in others through mentoring. Shaped by countless mentors over the past, Jayme now has the privilege of mentoring millenial women for the past thirty-five years. As a Church Mentoring Consultant she trains Church leaders how to successfully produce mentor programs. Her first book titled, Face to Face: Discover How Mentoring Can Change Your Life was released April 2016. Jayme has written hundreds of articles for her own website and for online media, including: More to Life Online Magazine, Divine Detour Blogs, Ask Dr. B Online, Dear Reader Online, and more. She has appeared on The Harvest TV Show and Real Life TV Show as well as 15 radio shows including Dr. Gary Chapman Building Relationships, The Chris Fabry Show and Boundless Podcast with Focus on The Family. 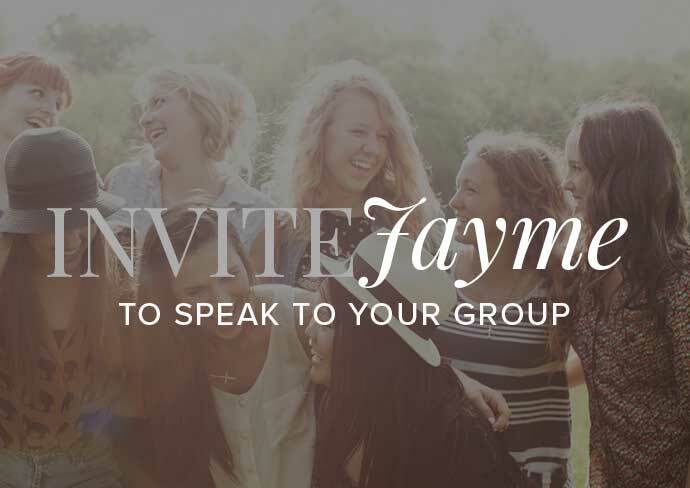 Jayme is an authentic connector who is passionate about inspiring people to connect with others through a face to face mentoring relationship. She is on a mission to intentionally develop a mentoring movement. She has spent a lifetime encouraging people to invest in others and make a positive difference in today’s culture. Jayme and her husband John have been happily married since 1980 and currently live in Franklin, TN. Being with her family is Jayme’s favorite way to spend her time. She and John love to hang with her three adult kids, their spouses and adore every minute with their four beautiful grandchildren. Jayme Hull offers a wonderful invitation to the journey of a lifetime. Who knew you could go that extra mile? Face to Face is a lovely nudge into the rich world of 'mentoring and being mentored.' Don't shrink back! Jayme's experience and words will show you the way! Jayme makes a compelling case of why mentors are essential to the spiritual growth and the well-being of an individual.